Planetwalk’s core mission is the development and coordination of a global network of Planetwalkers. Planetwalk will sponsor walks nationally and internationally with the purpose of promoting environmental education and responsibility and a vision of world peace and cooperation. Planetwalk is modeled on Dr. John Francis’s worldwide pilgrimage that works to transcend cultural, social and political boundaries by fostering communication between young people, scientists and environmental practitioners. 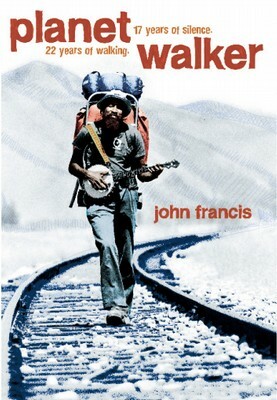 In 1982, Dr. John Francis and three friends founded Planetwalk, a 501(c)(3) non-profit educational organization, based on a mission to raise environmental consciousness and to promote peace at the grassroots through environmental education programs and scientific research. The inauguration of Planetwalk Cuba 2003 in which over 60 students, scientists and environmental practitioners from the US walked 100 miles through the Sierra del Rosario Reserve in the Cuban province of Pinar del Rio. The construction of an interactive, multimedia environmental education website, www.planetwalk.org. The development of a partnership with the GLOBE program (Global Learning and Observation to Benefit the Environment), a federal government environmental science program for students (K-12) from around the world. The creation of Appleseeds, a hands-on environmental program for high school and college students in the Caribbean. The design and production of Environmental Justice Television Satellite Town Meetings in conjunction with the Black College Satellite Network. The organization and production of an environmental justice conference with grassroots community leaders, the United Nations Environment Program and the U.S. Environmental Protection Agency that was aired at the 1992 United Nations Conference on Environment and Development in Rio de Janeiro, Brazil. Consultations with businesses and governmental agencies on environmental management and sustainable development policy. The support and coordination of Dr. Francis’s walking and sailing journey around the world. 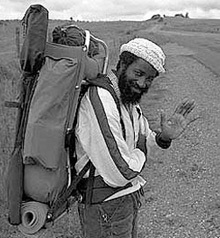 To date, he has walked across the US, several Caribbean islands, Venezuela, Brazil, Bolivia, Argentina and Chile. In 2014 Dr. Francis lead the first Planetwalk in China, Planetwalk Hangzhou: 2014. Planetwalk’s is now expanding its scope to encourage the development of an active global community of Planetwalkers. Planetwalk will develop Planetlines, an interactive Internet curriculum for students at all levels (K-University) and for the public. Planetlines will trace individual and group walks of any length and will document areas where these walks intersect, providing a deep and rich experience of connection to people and communities around the world. The curriculum will also be available in a traditional format, making it available to students and communities without Internet access or computers. Planetwalk invites your participation and support in the journey for a better world, one step at a time.